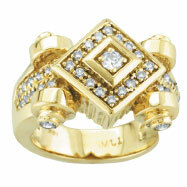 From our Byzantine Collection. 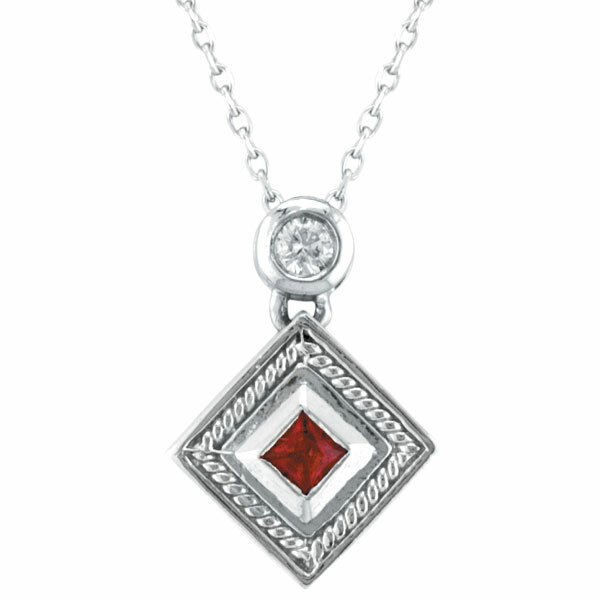 Ruby & Diamond Antique Style Pendant Necklace in 14K white gold. One gorgeous ruby stone measuring 3mm in size. This is a princess cut ruby in a bezel setting emanating right in the center of this antique reproduction pendant necklace. 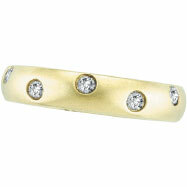 One brilliant, 2.6mm bezel set diamond that sparkles on the top of this diamond & gemstone pendant. 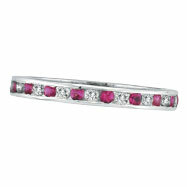 The earring at the bottom can also be made in rubies. 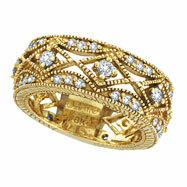 Jewelry worn by royalty.